A spooky abandoned neighborhood makes for the perfect training ground. On the edge of the San Francisco suburb of Concord sits a ghost town. Dilapidated buildings and cracked roads are framed by overgrowth and slightly askew street signs. The decommissioned 5-acre portion of the Concord Naval Weapons Station that once housed military personnel and their families is now home to squirrels, jack rabbits, wild turkeys and Honda's mysterious testing lab for autonomous vehicles. 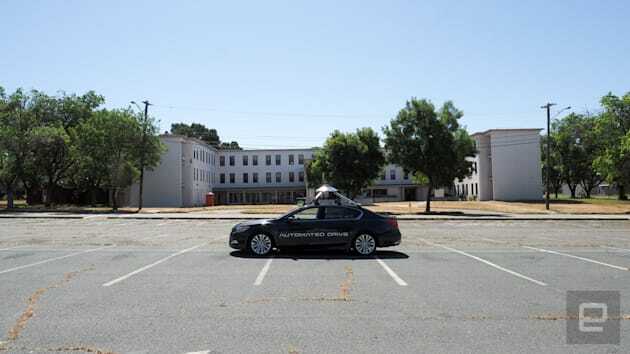 This former town within a Naval base -- now dubbed "GoMentum Station" -- is the perfect testing ground for Honda's self-driving cars, an almost turnkey solution to the problem of finding somewhere to experiment with autonomous vehicles inside an urban area. Thanks to the GoMentum Station, the automaker has access to 20 miles of various road types, intersections and infrastructure exactly like those found in the real world. Just, you know, without all the people getting in the way. 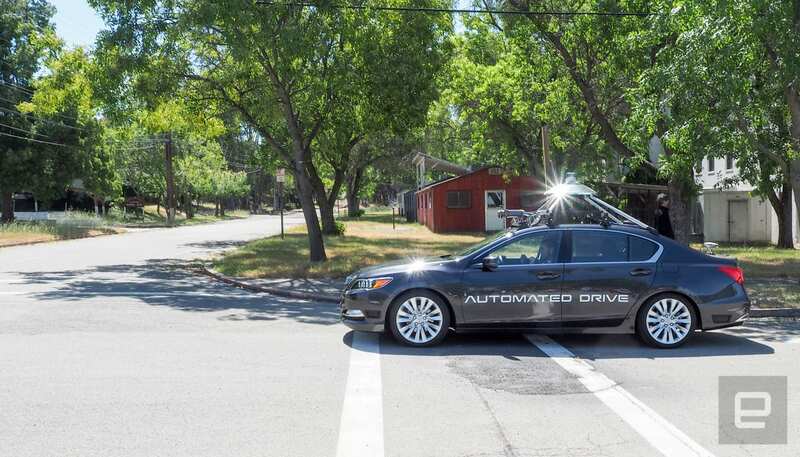 While the faded lane markers and cracked asphalt might initially make it difficult for the car to figure out what's going on around it, that's exactly what you want when training a self-driving system. Many roads in the real world are also in dire need of upkeep. Just because autonomous vehicles are hitting the streets doesn't mean the funding needed to fix all the potholes and faded lane markers will magically appear. The real world doesn't work that way, and the robot cars that will eventually make our commutes less of a headache will need to be aware of that. Plus, it's tougher to train a car to drive downtown than to barrel down the highway at 80 miles per hour. A company is going to want to get as much practice as possible. While semi-autonomous driving on the everyone-going-the-same-way-at-a-constant-speed freeway is already a reality, navigating in an urban environment is far more complex. If you've driven on the streets of Los Angeles, San Francisco, New York, Chicago or Seattle, you know that driving downtown takes far more concentration than cruising down the interstate. With all that in mind, Honda's tricked-out Acura RLX did a good job during an (admittedly very controlled) hands-free demo. It didn't hit either of the pedestrians walking across its path. It stopped at stop signs and even maneuvered around a mannequin situated in the middle of the road. The reality is, watching a car drive around the block and safely avoid stuff is boring. Not to mention, Google has been doing this for a while in the real world. A few people joked that maybe someone should leap in front of the car to add some excitement. Honda, unsurprisingly, didn't seem too keen on that idea. When it comes to autonomous cars, mundane is good. Boring driving is safe driving. Sure, it was like watching an overly cautious driving instructor giving a lesson on how to avoid collisions. But then you remember, there is no human in control. All the sensors, cameras, GPUs and development needed to keep the car from running into a pedestrian is insane. Jim Keller, Honda's chief engineer of research and development, said the automaker has access to the facility for the foreseeable future; as part of the deal, Honda is in charge of upkeep. Eventually, it'll paint new lines and add new signs. It's even going to create the driving conditions of European and Japanese roads. As the company aims for a 2020 release of an autonomous car, GoMentum Station will evolve from quaint overgrown town to bustling car-testing mini-metropolis. Just don't tell the squirrels.